The Internal Market and Consumer Protection (IMCO) Committee of the European Parliament is considering proposed amendments to the report prepared for IMCO by rapporteur Bernadette Vergnaud MEP concerning the proposal for the modernisation of the Directive on recognition of professional qualifications published by the Commission at the end of last year. On 29 November there was a second exchange of views on the amendments in the IMCO Committee of the European Parliament. The amendments focus on core issues of the Commission’s proposal and specific points which have been highlighted by the rapporteur. 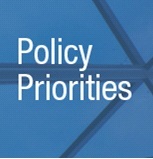 CEPI takes a close interest in the debate and has published a position paper drawing attention to its concerns about priority issues. The position paper focuses on the proposed amendments concerning the European Professional Card, common training principles and what is meant by temporary and occasional mobility. CEPI has long supported the introduction of a European Professional Card on a voluntary basis for professionals, and is concerned that such a card should be available to as many interested professions as possible, including those which, like the real estate professions, are semi-regulated. CEPI is also strongly in favour of the Commission proposal to introduce common training principles which can be established for those falling under the general system created by the Directive who do not benefit from automatic recognition. Because these are important issues for professionals in the real estate sector CEPI views with concern any additional conditions which might be imposed which could make it more difficult to realise such common training principles than was intended in the original proposal by the Commission. The third priority issue considered in the position paper is that of the definition of temporary and occasional mobility, which is important for those who wish to work cross-border but do not do so frequently enough to need to apply for permanent establishment in another Member State. It is very difficult to reach agreement on a definition which would be acceptable for all professions due to different practices and CEPI would like the Commission to be able to issue guidelines on a sector by sector basis as to what would be considered appropriate for particular professions. There are other important concerns dealt with by the proposed amendments to the report to which CEPI has already drawn attention but the three which are highlighted in this position paper are of fundamental importance to the real estate sector. Therefore CEPI asks that they be given particular attention and will follow with interest the continuing discussions. Click here to read the CEPI position paper.